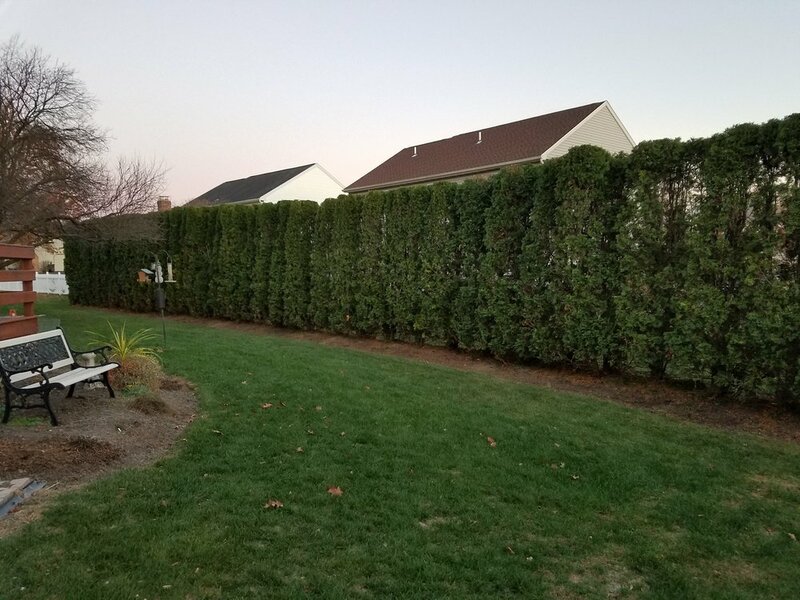 Shrub/Hedge Trimming — BLS LANDSCAPING & CONSTRUCTION, INC.
Clean up your yard and maintain your shrubs in the shapes that you prefer with BLS Landscaping & Construction, Inc.'s services. We have all of the necessary equipment to trim and shape your shrubs and hedges to your expectations. No request of shape is to crazy or a hassle. We will shape you shrubs exactly how you want. Please contact us today for your free estimate! Arborvitae were over grown and damaged from this past harsh winter. BLS tied them up and trimmed them the arbovitaes.